Holly Tharp graduated from Louisiana State University Shreveport in December 2013 with her B.S. in Health Promotion with concentrations in Kinesiology and Epidemiology. Throughout college she wanted to be a physical therapist, but she was inspired to become a chiropractor after she watched her father’s chronic pain gain relief through chiropractic and her sister enrolled at TCC. John Tharp had chronic low back pain after being in the military for 21 years. After he retired, he began to seek treatment. After his physical therapy rehab was not working for him, his MD recommended surgery. As one more type of presurgical care, John decided to see a local chiropractor. At this time, Holly’s sister, Caitlin, graduated nursing school to be an RN. After seeing their father’s results and experiencing chiropractic treatment herself, she knew being a doctor of chiropractic would give her the opportunity to treat patients the way she always hoped. Holly followed her sister, who is three trimesters ahead of her, and also enrolled at TCC. Holly said she was excited to join a profession that could help patients like her father see results without having to get surgery or rely on physical therapy alone. Although her sister told her how rigorous the first year of sciences courses is, Holly said the most surprising aspect of studying chiropractic was the depth of the science courses. She said learning the science behind the human body so deeply will help her explain to her future patients exactly what she is doing and why. As one of the many roles she serves at TCC, Holly was elected as ex-officio board member last year, and currently represents the students’ interests to the Board of Regents. She also serves as president of the Student Body Association and student representative for the President’s Advisory Council. 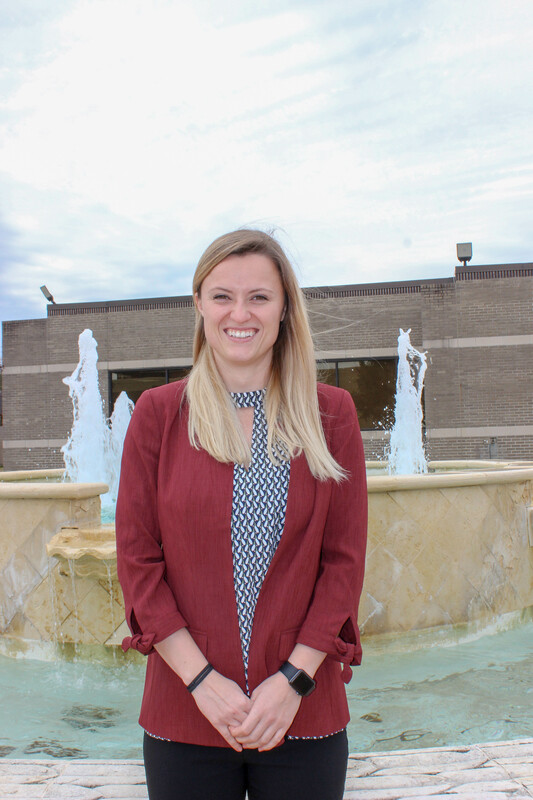 She is also a TCC Ambassador as well as a member of Omega Si, the International Fellowship of TCC, Student American Chiropractic Association and Student Texas Chiropractic Association. Holly is currently in her sixth trimester at TCC and is expected to graduate in August 2020. She said loves how connected she is with the college and her classmates.